Spring is here and come rain or shine, there is no better place to be than the outdoors! From mud pies to bug hunting, here at RSPB in the East we’ve gathered some ideas on how to bring out the wild thing within you this Easter, and make the most of being outside. 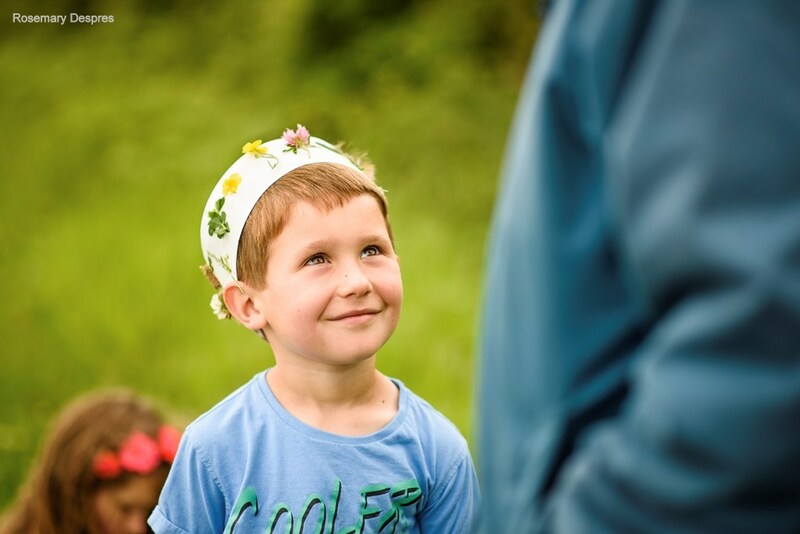 Whether it's sunny, cloudy, or drizzly, nature calls, so wrap up nicely and get outdoors! 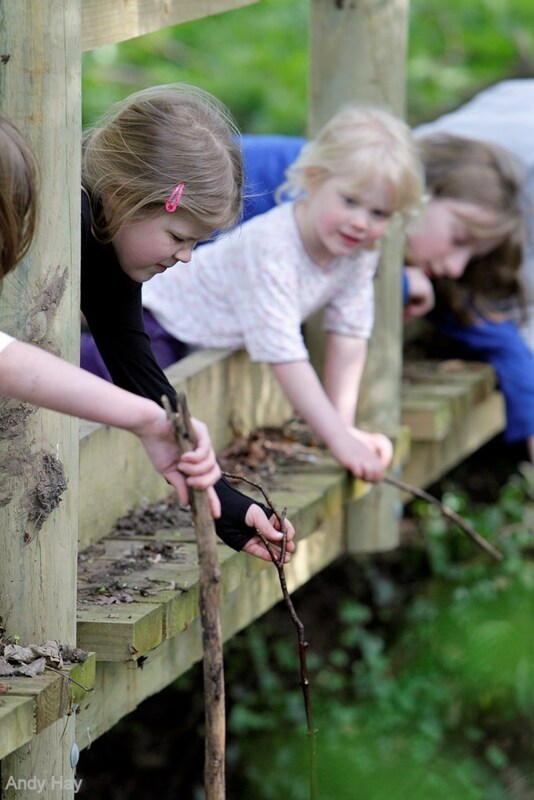 Head down to your nearest RSPB reserve to truly release your inner wild thing. Take part in loads of fun activities, enjoy the fresh air, and make everlasting memories. Find your nearest reserve here. Don’t let soggy weather stop you from getting outside. Grab your waterproofs and go wild with mud. All you need is a muddy puddle and your imagination. Mould the mud into the shape of a pie and decorate it with different materials you find lying around – rocks, acorns, leaves, feathers. 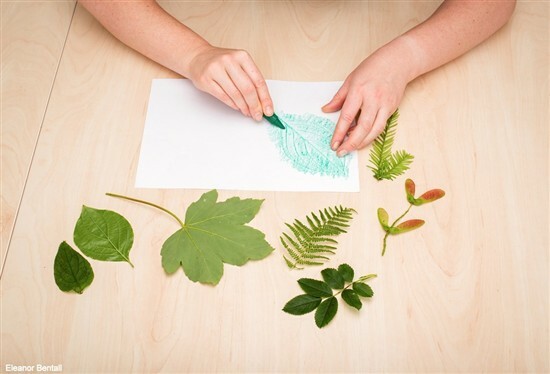 Leave your mark on nature in a creative way. 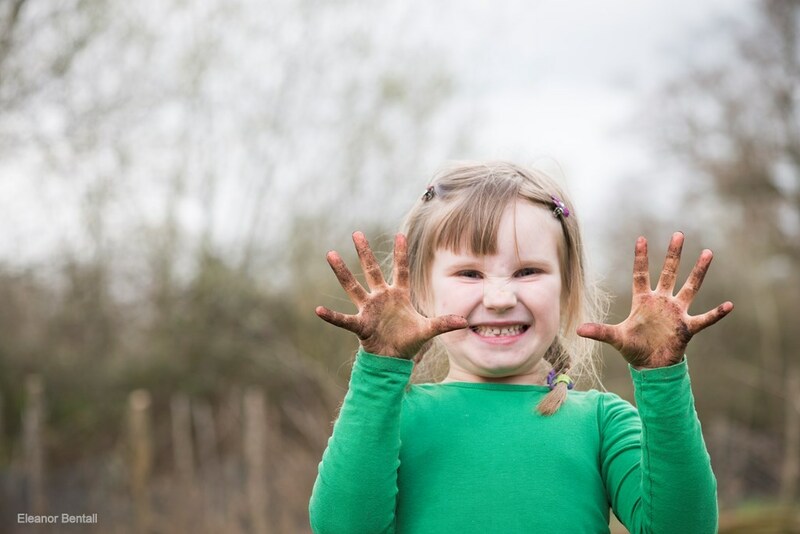 When it’s damp outside, and the mud is wet, use your hands or leaves to make wild paintings on rocks or the ground – wherever you can! Use different types mud or clay to achieve different colours. Are you a nature warrior? If so, you’ll need the mask to show off your wild side! Trace a mask shape onto a piece of paper, to fit your face, and cut out with scissors. Cut out holes for the eyes and two holes for string on the sides. 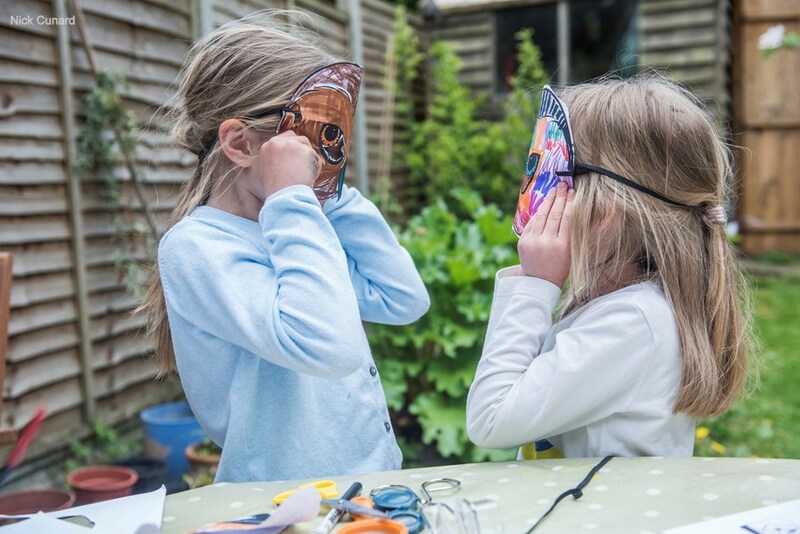 Glue natural materials like leaves, loose petals or feathers onto the mask, or colour in. Thread elastic string into the side holes, and your mask is ready for display. Now you look like a warrior! Capture every last gust and blow of the wind that whooshes by with your very own natural wind chime. Venture outside and collect strong materials, like sticks, stones and acorns. Hit them together to test what sound they make. Now all you need to do is attach string to each item and tie them onto a branch, making sure they dangle so that they can move easily when the wind dances through them. 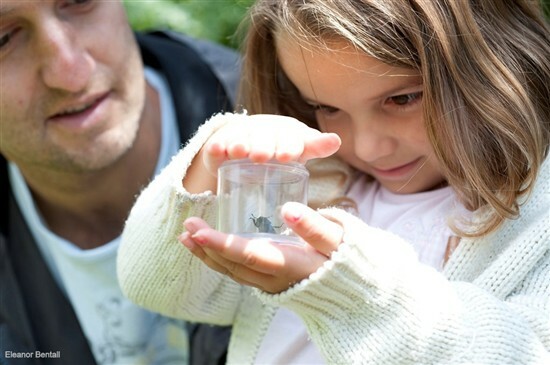 Bug hunts are a great way to discover the wild things living in your back garden! Remember to always be gentle when handling bugs or when overturning rocks and leaves so you don’t harm them. You will need a few clear jars to temporarily put your bugs in and a camera or sketchbook at the ready to record your discoveries! 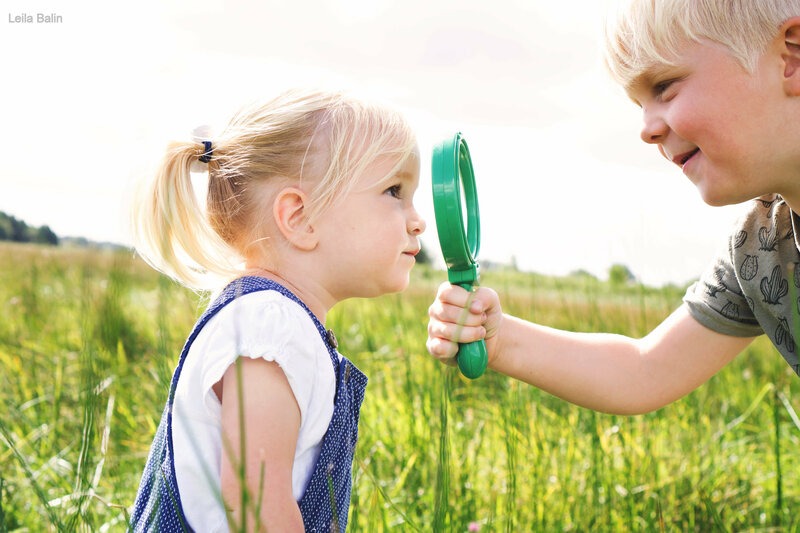 Using a paintbrush, gently brush the bugs into your jar to take a closer look (a magnifying glass is good for this!) and once you’ve had a good look, remember to always release them gently. There’s no better accessory than one made completely from natural materials. Make your perfectly wild bracelet or by wrapping a layer of sticky-tape around your wrist/head (sticky side up). Go for a run-around outside and whatever fallen beauties catch your eye, stick them to your bracelet or crown. These can include things like fallen flower petals, leaves, grass or more. As the seasons change, leaves come and go, but there is a way to make them last forever. Grab a few different types of fallen leaves, place them under a piece of paper and rub them with crayons – you may have to stick them down with tape, but use very little as the tape edges will be picked up by the crayon as well. A rainy day is not a wasted day! Remember to wrap up in your waterproofs and get your wellies on before going outside. Rainy days are perfect for building boats and rafts and watching them float down a stream, you could even race them! Experiment with different sized sticks. Does adding a sail help with speed? Weave sticks together with string to create a strong and supportive frame – you don’t want your creation to fall apart! 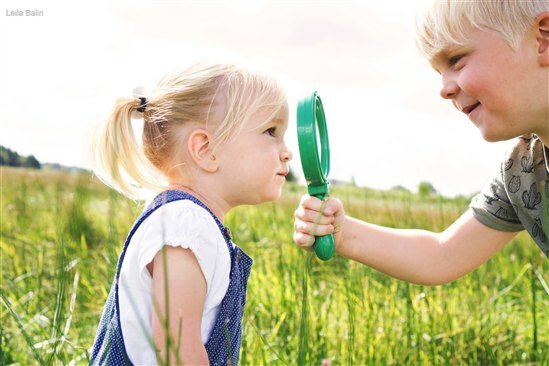 Find a rainy puddle or stream to test your handiwork. Create a temporary home out of nature's finest building materials. A good den needs good foundations. 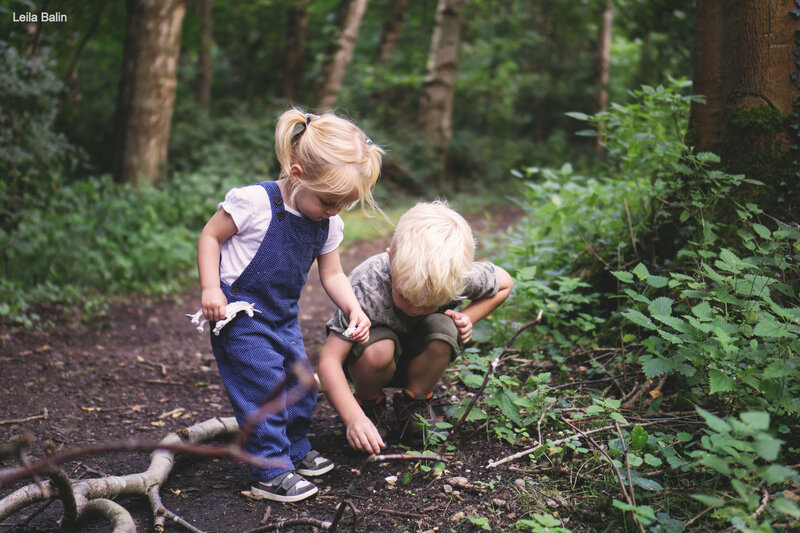 Find a tree with lots of nooks and crannies to support your den. Find some large branches to wedge into cracks of the tree, or on a low branch. Layer a few more large branches on your framework, make sure they are close together so your den has strong walls. 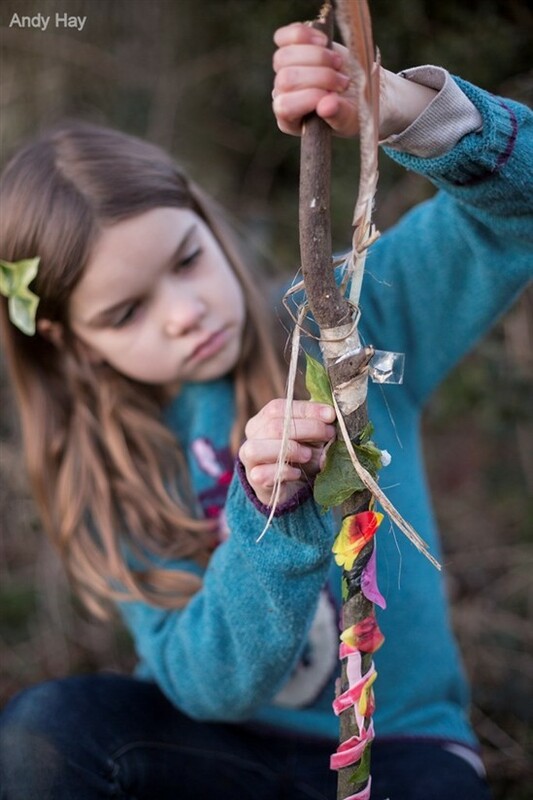 Finally, layer leaves and small twigs onto your den to provide shelter and protection.